Rowland Worrell was born on July 8, 1946, in Macon, Georgia. He entered the U.S. Air Force Academy on June 29, 1964, and was commissioned a 2d Lt in the U.S. Air Force upon graduation on June 5, 1968. 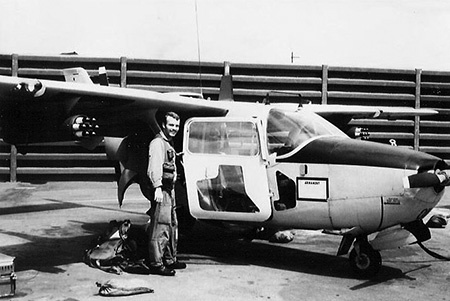 Lt Worrell next completed Undergraduate Pilot Training and was awarded his pilot wings at Reese AFB, Texas, in August 1969, followed by O-2 Super Skymaster Forward Air Controller training from September to December 1969. His first assignment was as an O-2 pilot with the 21st Tactical Air Support Squadron at Cam Ranh Bay AB, South Vietnam, from December 1969 to November 1970, and then as an instructor pilot with the 35th Flying Training Squadron and 64th Student Squadron at Reese AFB, Texas, from December 1970 to July 1973. Capt Worrell then served on the staff with Headquarters U.S. Air Force in the Pentagon from July 1973 to July 1974, followed by service as an F-111 Aardvark pilot and on the staff of the 27th Tactical Fighter Wing at Cannon AFB, New Mexico, from July 1974 to May 1981. 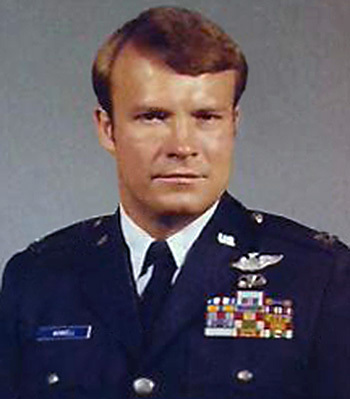 He served as Chief of the Consolidated Space Operations Center Development Branch and Chief of Launch, Control, and Support Division with Headquarters North American Aerospace Defense Command, and as Commander of the 1013th Combat Crew Training Squadron with Headquarters Air Force Space Command at Peterson AFB, Colorado, from May 1983 to June 1988. Col Worrell was Director of the Global Defense Segment with the Strategic Defense Initiative Organization from June 1989 to March 1993, and then served as Director of the National Test Facility Joint Program Office and as Vice Commander of the Space Warfare Center at Falcon AFB, Colorado, from March 1993 until his retirement from the Air Force on August 1, 1996. 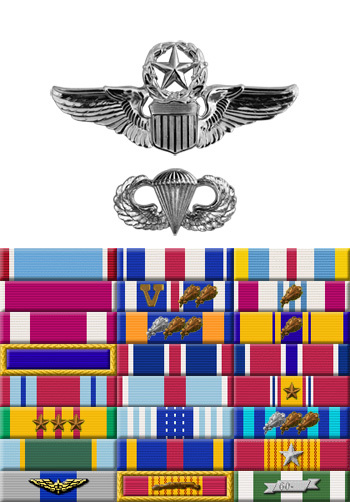 The President of the United States of America, authorized by Section 8742, Title 10, United States Code, awards the Air Force Cross to First Lieutenant Rowland H. Worrell, III, for extraordinary heroism in military operations against an opposing armed force as a Forward Air Controller at Dak Seang Special Forces Camp, Republic of Vietnam, on 2 April 1970. On that date, Lieutenant Worrell directed air strikes, artillery and aerial resupply drops in support of the completely besieged Dak Seang Camp. With complete disregard for his personal safety, he calmly and accurately located hostile forces and weapons and systematically directed their destruction. When these efforts failed to halt the perimeter assault, Lieutenant Worrell repeatedly flew his unarmed aircraft through heavy ground fire and, as a last effort, fired his marking rockets into the attackers on the perimeter wire, causing them to stop the assault and withdraw. During the four and one-half hours over camp, Lieutenant Worrell braved intense ground fire to cover a troop withdrawal and singlehandedly frustrated an attack on the camp's perimeter, thus saving many lives and possible the camp itself. Through his extraordinary heroism, superb airmanship and aggressiveness in the face of the enemy, Lieutenant Worrell reflected the highest credit upon himself and the United States Air Force.